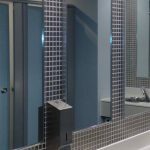 We supply custom mirrors for every kind of application, from single domestic bathroom mirrors right through to dance studio mirrors and gymnasium installations. 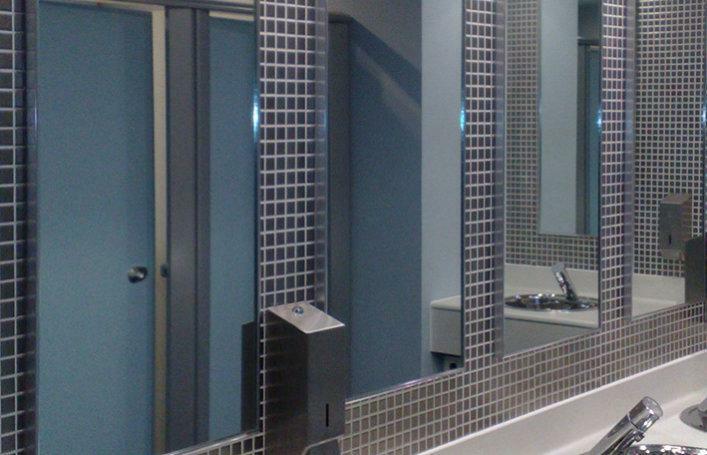 We have been involved in projects to install mirrored doors, bar facades, jewellery shop mirrored displays, nightclub dance floors, garden landscaping, and washroom facilities. Mirrors can increase the amount of light within buildings when situated intelligently and provide interesting visual effects. 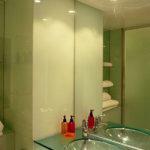 Bespoke mirrors form Norwich Glass can be cut to shape as well as have polished or bevelled edges. We are able to drill holes or form cut outs within the body of the mirror. 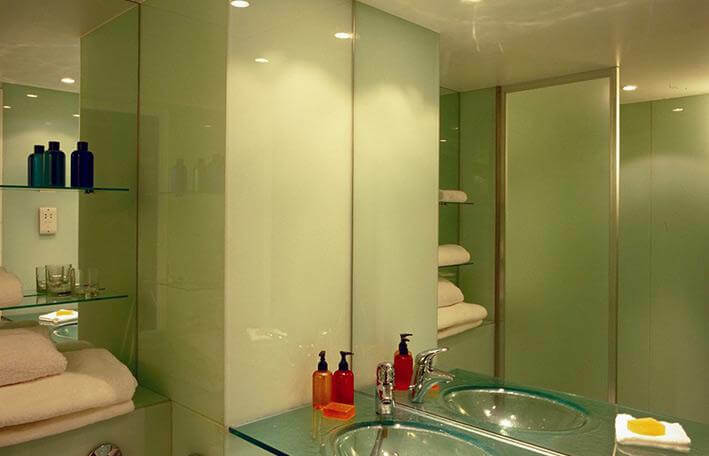 Mirrors are available in thicknesses of 4mm or 6mm.